HEXIN sliver mirror is a tyle of float glass, regular or tined, manufactured with a sliver and copper reflective coating on the back surface, then covered with two layers of oven backed protective paint coating, this providing long-lasting performance and durability. 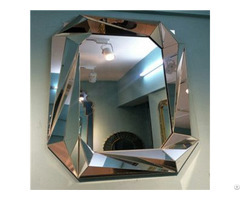 HEXIN sliver mirror can be supplied in standard size and cut, drilled and beveled to suit customer's needs. the front surface of the mirror can also be customized by means of sandblasting or engraving, to create patterns, logos, and graphics.After processing, a backing is applied to improve impact safety and give added moisture protection. 1 Available color: clear, ultra clear, euro bronze, euro grey, green, pink, blue etc. 4 Size: 609X914mm, 914X914mm, 914X1220mm, 1220X1830mm, 1830X2440mm, 1524*2134mm, 2140X3300mm, etc. 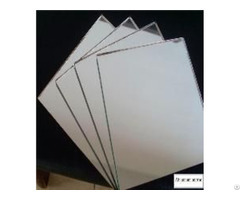 2 Coated on high quality mirror grade float glass. 3 Actual and accurate reflection, reflective rate>91%, longer service life. 5 The mirror surface is much more clear and brighter. 6 Easy to be cut, polish, beveled, safety back, acid etch and installation. 7 More than 15 years in the mirror manufacturing and exporting. 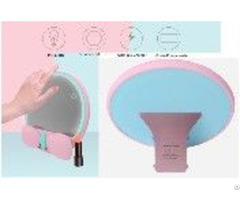 8 It is compatible with more silicone and adhesive than standard mirror. 9 It lasts at least three times longer in tests simulating the natural aging of mirrors. 10 Sliver layer contents not less than 700mg/m2, Copper layer contents not less than 200mg/m2, Painting layer not less than 50um.